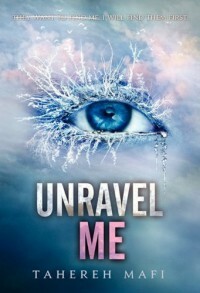 Unravel Me had everything a reader could ask for, the action, the romance, the twists OH MY GOD! YES, THE TWISTS!, the awesome characters, and the kickbutt plot!! Juliette's finally free yet she still feels caged up and I mean to can't blame her. And then she finds out Adam's power it causes a rift between them. While Juliette's reasoning is understandable it hurts seeing the characters getting affected by it. Tahereh Mafi then drops a jaw dropping, holy cow! What did he just say? bomb secret on us that makes things a bit awkward for Juliette but really entertaining for the readers. Or at least it was for me. Tahereh effectively manages to write an action filled plot that had us perked up the entire time. Juliette is one of the most genuine and realistic dystopian heroine I've read. The only problem I had with this book/Juliette was how withdrawn she got in the first half of the book. But it also helped develop her character and also a big shout out to Kenji for giving Juliette a big reality check. It may have seemed harsh but she needed that. It was actually pretty weird seeing Kenji as the "big man on campus" or well Omega Point and being serious. But at the same time it fits him and you gradually get accustomed to it. And don't worry he's still as flirtatious and hilarious as always. I do wish we saw more of James though. I miss hearing him talk. Although, I think it's great that he's making friends and becoming a part of something he's wanted to do. As for the romance...well, there's a lot to it. Adam is a sweetheart and fantastically amazing! They both have a bond and history together. And then there's Warner...who's just as amazing and heart touching. And I know I've said this before (Don't blame me! Blame the authors for creating two swoonalicious guys!) but I won't be choosing who I was Juliette to be with because that's a HARD decision, so I'll let Tahereh Mafi have that honor and I'll just go along with whatever happens! Warner. 1st: He has a beautiful first name which should only be reserved for Juliette. 2nd: Warner is such a different person than he was in the first book and there's a side of him that only Juliette can reach. 3rd: His feelings for Juliette are genuine which makes things even harder because I love Adam and I don't want either of them getting hurt. 4th: I totally see why the Epic Reads girls made such a big deal out of Chapter 62. I have only one thing left to say: READ IT!! You most definitely don't want to kiss out on it and you won't regret it! And if you have yet to read Shatter Me, I suggest you start! This book is for any book lovers out there!! 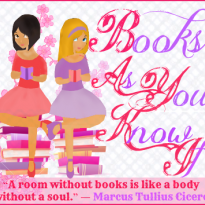 Happy Readings! !